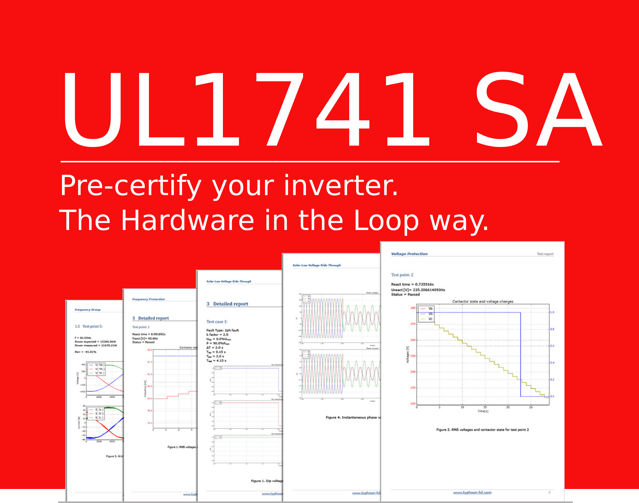 Discover how HIL enables you to rigorously test your controller for all test cases specified by UL1741 SA. Furthermore, with HIL you can do it in-house and without the need for a high power laboratory. Automatically generate detailed reports for each test. Quickly tune your controller firmware and re-test again until all test criteria are met. This way, when you start full power testing in house, or when you send your converter to the official certification lab you can be confident that it will pass with flying colors.